Kecleon in game: 3,772 Who? Important notice! Pokemon Kecleon is a fictional character of humans. 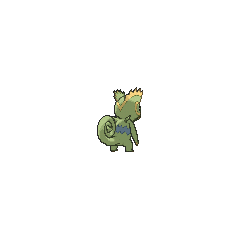 Kecleon is able to change the colors of its body at will, and is known for frequently using this ability to camouflage itself. However, it is unable to change the color of its red stripe. By using camouflage to appear almost invisible, it can sneak up on prey and ensnare it with its long pink tongue. 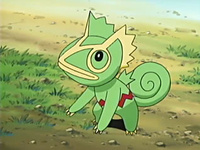 A purplish variant has been seen in the anime and the Pokémon Mystery Dungeon series; whether this is an example of it changing color or simply a different kind of Kecleon is unknown. This Pokémon lives in forests. 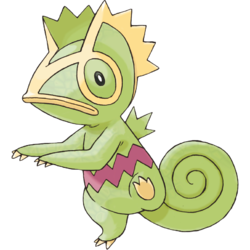 Kecleon first appeared in The Kecleon Caper and was the first Generation III Pokémon to appear in the anime under the ownership of Madison and Alexa. A pair of them tried to foil Team Rocket's attempt to steal their owners' stuff. 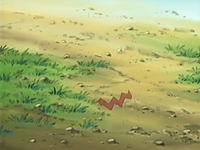 A Kecleon was one of the Pokémon that played hide-and-seek with Pikachu and the others in Pikachu's PikaBoo. 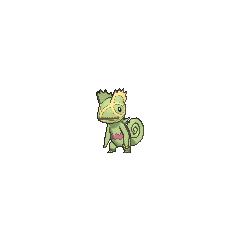 However, said Kecleon missed out on the excitement when a lawn-mower was on the loose. The end of the short finds Kecleon standing in the same spot, wondering where everyone is. It was not found because it was invisible. Due to nobody ever finding Kecleon it was declared the winner. Harrison used a Kecleon against Ash's Pikachu in the Silver Conference in Playing with Fire and Johto Photo Finish. It finally lost to Pikachu after an intense battle. 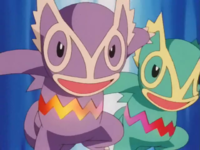 Two Kecleon—one green, one purple—known as the Kecleon Brothers, appeared in Pokémon Mystery Dungeon: Team Go-Getters out of the Gate! Unfortunately, Team Meanies bought out everything they had. They made another appearance in Pokémon Mystery Dungeon: Explorers of Time & Darkness. A Kecleon belonging to a Pokémon Coordinator appeared in Now That's Flower Power!. Kecleon had minor background appearances during the Advanced Generation series in Pros and Con Artists, A Double Dilemma, and Saved by the Beldum. A Kecleon also appeared in One Big Happiny Family! in Jessie's fantasy. A Coordinator's Kecleon appeared in Pruning a Passel of Pals! participating in the Battle Stage of the Wallace Cup. Kecleon debuted in The Last Battle XIII as one of the Pokémon sent to help the fight in Ilex Forest. Wally captured a Kecleon in the Petalburg Woods with Ruby's assistance, and he cherishes it as his first Pokémon, like his game version's Ralts. 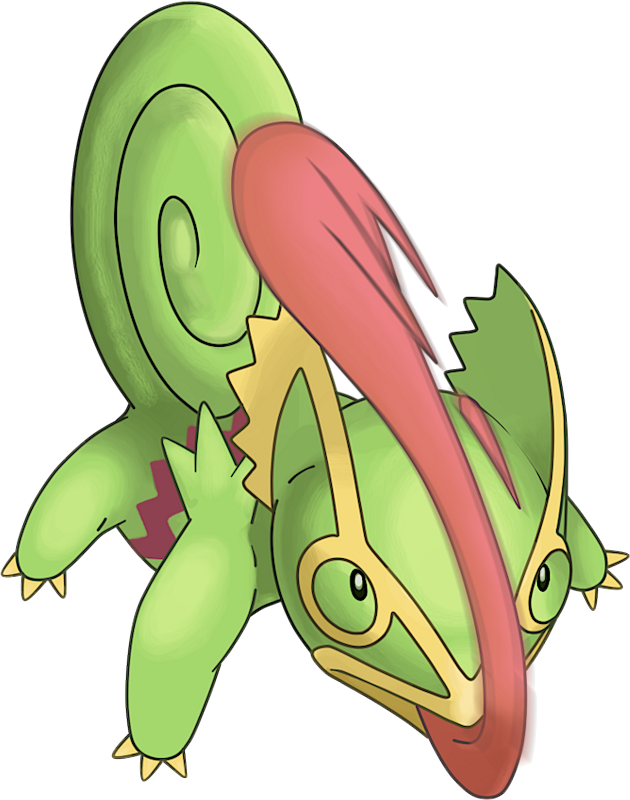 It is often used for maneuvers involving its long tongue, and is the first of the mainly-green wardrobe of Wally's team, joined by a Roselia, Cacturne, and the Flygon given by Norman. Another one appeared in Pokémon New Year. Pokémon Mystery Dungeon series: Two Kecleon; an older purple Kecleon and a younger green Kecleon, run Kecleon Shop, a shop in the game's town settlement. Kecleon may also run shops in dungeons. They are normally courteous but shoplifting will result in multiple high level wild Kecleon appearing to attack the player. From the WiiWare games and on, only the younger Kecleon is running the shop. Kecleon is the hardest Pokémon to recruit in Pokémon Mystery Dungeon: Red Rescue Team and Blue Rescue Team, with a base recruit rate of -33.9%. It can only be recruited if the player is level 90 or higher, and if they are holding a Friend Bow. Even after all this, Kecleon's recruit rate is only 0.1%. It is considered slightly easier to recruit in the Explorers of Time, Explorers of Darkness, and Explorers of Sky since the player now has a 0.5% chance of recruiting it at level 90, while holding an Amber Tear/Golden Mask with the "Fast Friend" IQ skill, despite its base recruit rate decreasing to -49.5%. Kecleon, along with Wailmer and Azurill, were the first Generation III Pokémon revealed, in early March 2001. 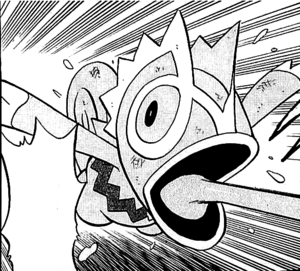 It was also the first Generation III Pokémon seen in the anime, in The Kecleon Caper.